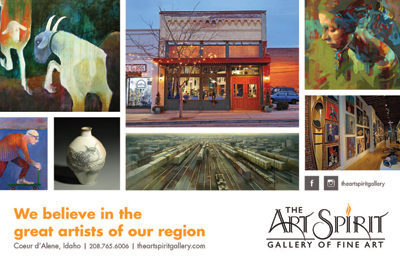 Celebrate this First Friday at the many galleries in the area including artist receptions. Trackside Studio & Ceramic Art Gallery at 115 S. Adams Street in Spokane, will feature "New Ceramic Works from Winter Firings,". This exhibit features new works by Chris Kelsey, Mark Moore and Gina Freuen from their winter kiln firings. Ceramic pieces on exhibit will range from functional, electric fired Cone 6 work to wood fired functional and one-of-a-kind sculpture. 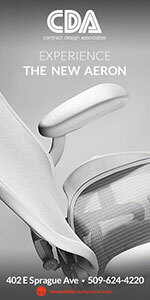 Exhibit Dates are March 7 - March 29. An Opening Reception will be this Friday from 5 - 8 pm, and Saturday from 10 am - 3 pm. For Exhibit information, contact trackside@tracksidestudio.net. The Connoisseur's Club at the Lincoln Center presents a Spring Beer Dinner with Beer from Selkirk Abbey Brewing Company from Post Falls, Idaho. Event to be held Friday, March 7 from 6 to 10pm. Each course of the five course menu will be paired with beers from Selkirk Abbey. The event includes many door prizes courtesy of Selkirk Abbey, with beer growlers from the Connoisseur's Club available for purchase to take home one of your favorite brews from the event. While most of you equate the St. Patrick's holiday with drinking beer, we love to drink wine for every major holiday. The 2014 St. Patrick's Day Parade goes right by Nectar Tasting Room on Saturday March 15. To reserve your table of four, cost is $69 and gets you a bottle of wine and a St. Patrick themed Food Flight. Nectar is located at 120 N Stevens (Main & Stevens). Visit drinknectar.com or call 509-869-1572 for reservations. Brian Regan has distinguished himself as one of the premier comedians in the country. The perfect balance of sophisticated writing and physicality, Brian fills theaters nationwide with fans that span generations. With his first appearance on The Late Show with David Letterman in 1995, Brian solidified his place on the show and this year he made his 25th appearance, the most of any comedian on the CBS show. Brian's 1997 CD, Brian Regan Live, has sold over 150,000 copies. Brian Regan's Live Comedy Tour will be at the INB Performing Arts Center on Thursday, March 13 at 7:30pm. Tickets are $42.50 & $49.50 and are available at ticketswest.com or by calling 800-325-SEAT. As part of the SuperPops Concert Series, the Spokane Symphony with conductor Morihiko Nakahara, will perform this Saturday, March 8, 8pm at the Martin Woldson Theater at the Fox. The performance features stars from Hal Prince's Tony award-winning production, the concert showcases the greatest Kern songs combined with Show Boat, his greatest musical. "All The Things You Are," "Smoke Gets In Your Eyes," "The Song Is You," "You Are Love" and "Make Believe" to name a few. Guest performers include Robert Sims, baritone; Nat Chandler, baritone, Teri Dale Hansen, soprano and Joy Lynn Jacobs, mezzo-soprano. Ticket prices begin at $26 and are available at the Box Office at The Fox, by calling 509-624-1200 and are also available at all TicketsWest outlets. Custer's 37th Annual Spring Arts & Crafts Show this weekend. 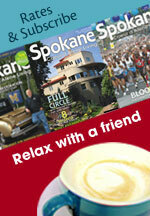 This Friday through Sunday, March 7, 8, 9 is the Spring Arts & Crafts Show at the Spokane Fair & Expo Center. This year's show features over 300 professional artists and crafters from the Pacific Northwest. Artwork includes one of a kind jewelery, wearable fiber art, mosaic glass, metal garden art, original paintings and much more and you can buy directly from the artists. Show hours are Friday, 10am-8pm, Saturday, 10am-6pm; and Sunday 10am-4pm. Tickets are $7 for adults, good all weekend. Kids 12 and under are free. Today, Wednesday, March 5 from 5 to 7pm. is a wine tasting and art First Wednesday at MAX at Mirabeau, featuring Art by Sheri Ritchie and Kyle Patterson and wine by Merry Cellars. 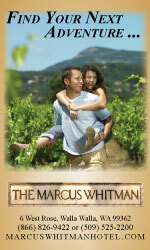 MAX at Mirabeau is located at 1100 N Sullivan Rd in the Spokane Valley. 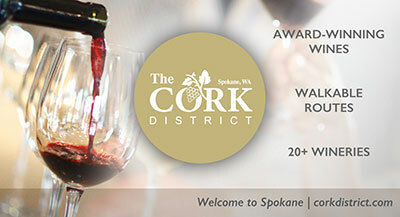 On Friday and Saturday nights, the Rocket Market on Spokane's South Hill features wine tasting classes starting at 7pm with Rocket's Wine Specialist, Matt Dolan. Each class features wine and cheese pairings. For a listing of classes and pricing information, visit www.rocketmarket.com. To register for a class, call 509-343-2253. 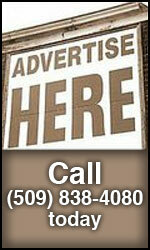 Rocket Market is located at 726 E 43td on Spokane's South Hill. The musical celebration continues as the NW Bach Festival concerts run through this Sunday, March 9. Events at the Bing Crosby Theater, The Davenport Hotel, the MAC, St. John's Cathedral and much more. For more information and group pricing, visit nwbachfest.com. Tickets available through Ticketswest.com. 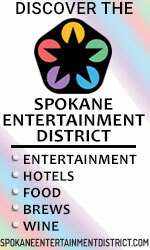 The 8th Annual Taste Spokane will be held this Friday, March 14 from 6 to 10pm at Northern Quest Resort & Casino, Pend O'Reille Room. 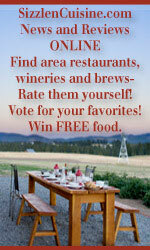 Sample products from 32 of Spokane's most acclaimed restaurants, regional wineries, breweries, and dessert purveyors. It will be a fun night, all benefitting Wishing Star Spokane. Last year, over $25,000 was raised to grant wishes and change lives. 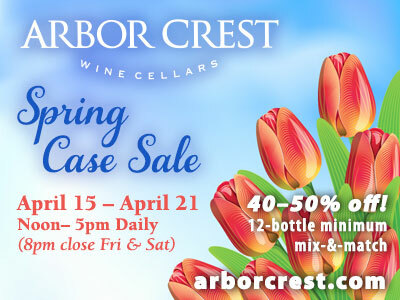 Tickets are $35 in advance, $40 at the door and includes 5 taste tokens and wine glass. Additional tokens available for purchase at event. VIP tickets are $100 and includes early admission, reserved seating, unlimited taste tokens and a commemorative annual wine glass. 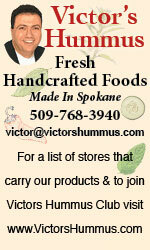 For more information visit www.tastespokane.com. On Friday, March 28, Tower of Power brings their funky soul sound to Northern Quest Resort & Casino's Pend Oreille Pavilion. Showtime is at 7:30pm. Tower of Power has been performing since 1968, and is best known for their funky-soul sound highlighted by a powerful horn section. Some of their biggest hits include "You're Still a Young Man," "So Very Hard to Go," "Soul With a Capital S," and "What Is Hip?" Recent releases include "Great American Soulbook," a collection of classic soul tunes, and they are currently recording their new album as they tour this year. Ticket prices are $45, $55, and $65 and are available at www.northernquest.com or by calling the Northern Quest Box Office at 509-481-6700 (toll-free 1-877-871-6772). Enjoy in-store specials, treats, and receive a complimentary gift at each store while supplies last. Participating stores are Simply Northwest, The Trellis Marketplace, Jema Jane Boutique, and Vintage Vines Restaurant and Wine Bar. Visit all four stores and enter to win a grand prize, $100 in gift certificates. Lunch special at Cuppa Joe's Café and beverage specials at Galaxy Grind, and Cafe Meo. 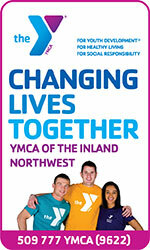 For addresses and phone numbers of participating stores, visit www.simplynorthwest.com. Seattle based indie rock band "Pickwick" visits Spokane, headlining at the Bartlett Thursday, March 6th at 8 pm. With a blend of indie alternative and blues, "Pickwick" brings a Dan Auerbach (Black Keys) flavor with a Pacific Northwest flare. Spokane folk band, "Cathedral Pearls", opens as well. 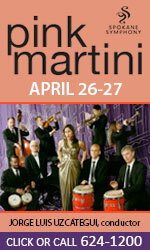 For more information about tickets visit thebartlettspokane.com. For more information of "Pickwick" and "Cathedral Pearls", visit pickwickmusic.com and cathedralpearls.com. Los Angeles musician Alex Brown Church, also known as "Sea Wolf", will headline at the Bartlett Saturday, March 8th at 8 pm. Auspicious indie acoustic sounds will resonate through the venue as upcoming indie musician "Kevin Long" is eager to open as well. 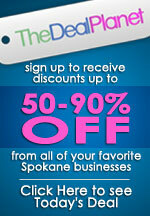 For more information, visit thebartlettspokane.com. For more information about the pacific tour of "Sea Wolf", seawolfmusic.com, and kevinlongmusic.com. NBC's the "Voice" finalist Austin Jenckes will be at the Knitting Factory Wednesday, March 5th. Hailing from Duvall, Washington, one of Team Blake's best is sure to put his whole heart out onto the stage. This pacific northwest native, Austin Jenckes is the perfect mix of country folk with southern rock. For more information about tickets visit sp.knittingfactory.com. 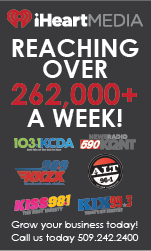 For more information about NBC's the "Voice" and Austin Jenckes, nbc.com/the-voice and austinjenckes.us.